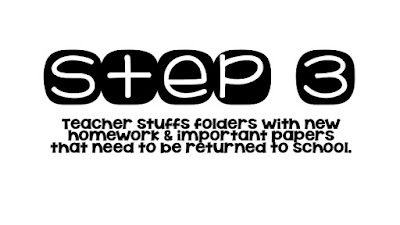 This is Part 2 in my series on Take Home Folders/ Homework Folders. 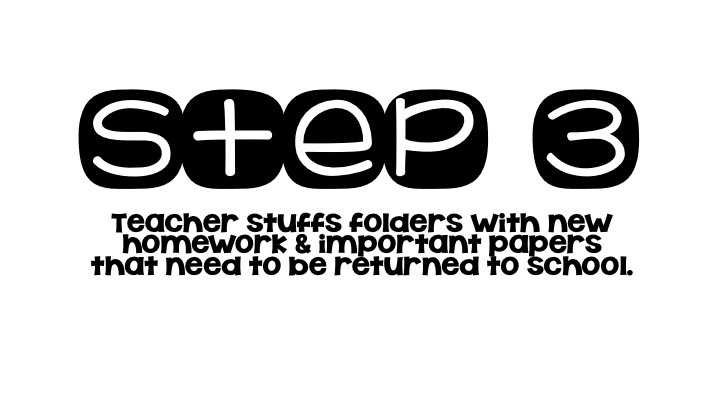 If you missed Part 1, I talked about how to set up, label, and organize your folders. Check it out here. 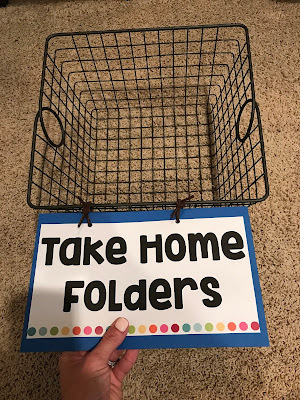 Today's blog post will discuss how to actually manage the folders and the gazillions of papers that go back and forth from school to home. We live in a digital world, but papers are very much still a part of elementary schools. Having an efficient system in place will save you so many headaches. If you are a brand new teacher or new to the primary grades, I think these tips will be especially beneficial! This sounds like common sense, I know. 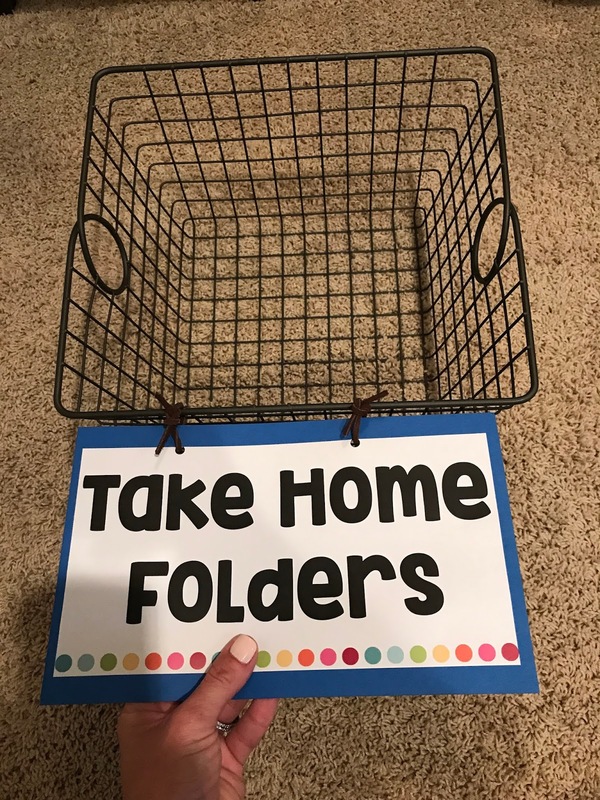 First, choose the basket/bin/container the students will put their folders in. 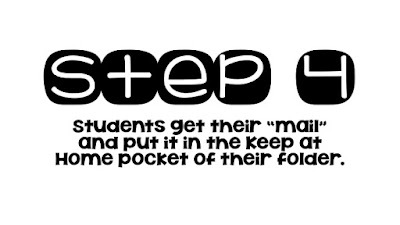 Also, decide WHERE in the classroom your basket will live. After you greet your kiddos in the morning, have them hang up their belongings and immediately take their folder to the designated spot. If you are like me, you have 100,000,000 cute containers in your classroom, house, and car but you still feel the need to buy more. I just found this adorable wire basket on Amazon. I'm pretty sure it's made for your kitchen or pantry, but I love it, nonetheless. It's a great size and will match any classroom door without clashing. Here is a picture of the basket in my office/playroom at home. So cute, right? I got the large, industrial gray on Amazon. I just typed up a little sign, glued it to card stock, and tied it to the wire basket with some twine. By 8:15 every morning, I personally check every single folder. 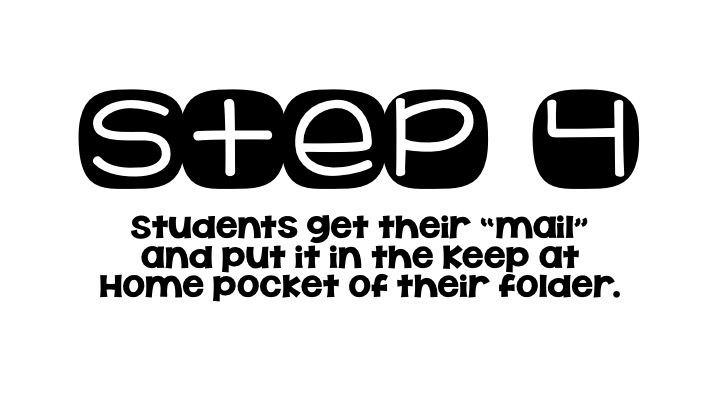 I check for homework, reading log, notes from mom/dad, lunch money, permission slips, signed papers, etc. I do NOT want kids handing me things individually. I want everything in the folder. You are probably wondering... what in the world are the kids doing while you check all those folders?!?! Great question! Kiddos are doing their morning work/bell ringer, reading an AR book, and listening to the morning announcements. Realistically, it only takes me a few minutes to flip through all of the folders so I only need them busy independently for a few minutes. It's important to get folders checked early in the morning so I make it a priority. 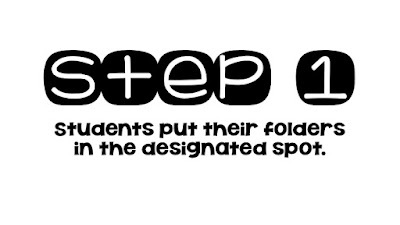 The only thing I'm stuffing in the folder is a homework sheet or very important paper that needs to be returned to school- something like a permission slip, a test that needs to be signed, an envelope from the office, etc. My biggest advice here is to do this at the same time every day. Do not wait until the end of the day. It is way too crazy to be doing this at dismissal. Choose a consistent time when you can stuff folders every day- whether it be first thing in the morning, during your lunch break, or during your conference period. 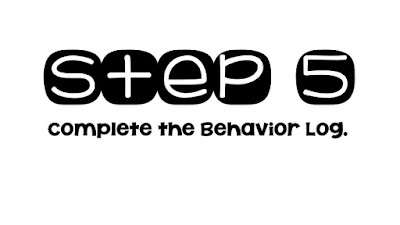 I could write a novel on the behavior log. This is how I look at it. The child is spending 7 hours of the day at school. The parent should get some kind of information about how their day went (behavior wise). Realistically, teachers do not have time to write a personalized note in each child's folder every single day so you have to be selective. If a student had a really SPECIAL day, jot the parents a quick note about it. "Wow! Kacie was such a leader today. So proud of her!" On the other hand, small reminders can be a way for parents to start a conversation with their child at home. "Don't forget to raise your hand before speaking out." 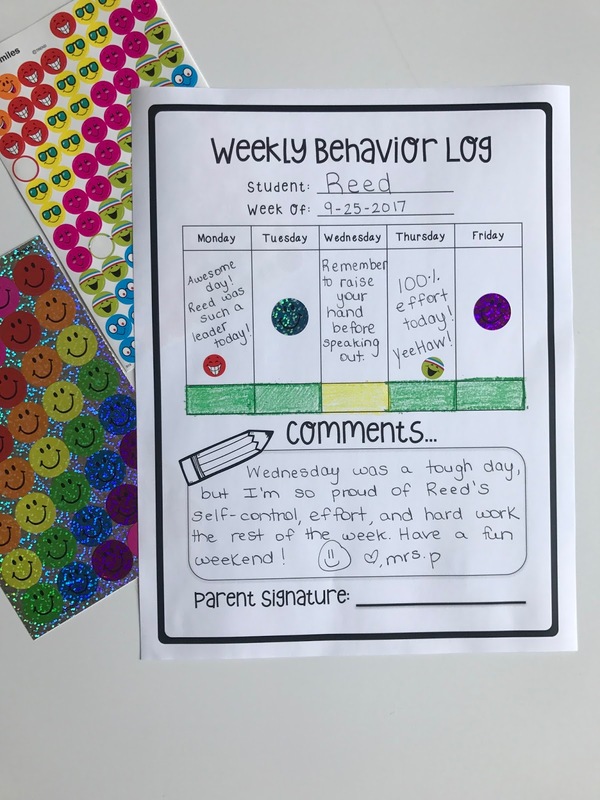 The teacher should walk around the room and complete behavior logs while the kiddos are getting their mail and packing up. I LOVE to pass out stickers for students to put on their behavior charts. If they've earned a sticker, it's an easy way to show parents they had a great day at school. If you use a color chart, you can have students use a crayon to color in their color on the corresponding day. Simple note. Follow up with a phone call or e-mail. 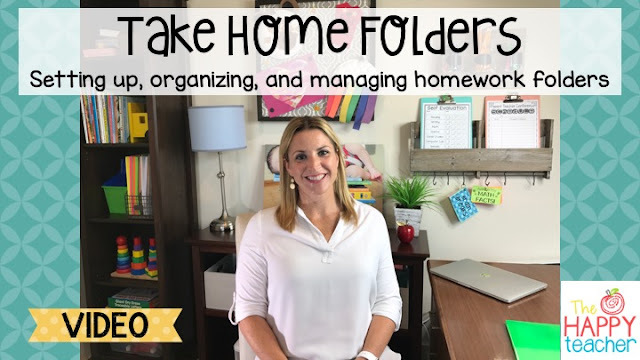 Check out my video to hear more about organizing and managing Take Home Folders. 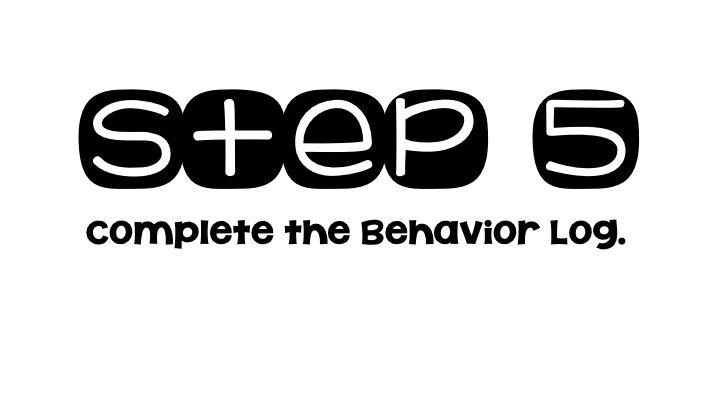 Download the forms and labels in my TpT store.